Bright hues can be risky, of course, but that small risk can carry with it a huge reward: a memorable look that delivers plenty of personality. Not everybody is willing to play it safe, and now, finally, those who experiment with bold colors are on trend. Grey has attracted a lot of attention in the last few years, but it's slowly evolving. In 2019, warmer shades of grey will make spaces feel a bit more welcoming. Mid-tones such as taupe, in particular, are about to hit it big. Charcoal is also having a moment. A favored choice for walls, charcoal offers a fresh feel, especially if infused with striking patterns or pops of color. 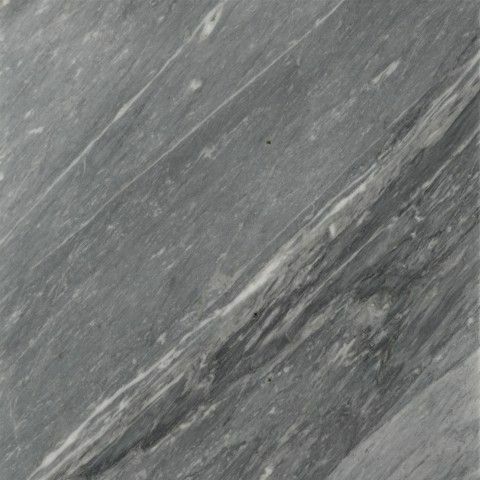 Easy to dress up or down, navy blue is, like charcoal, a popular option for walls. 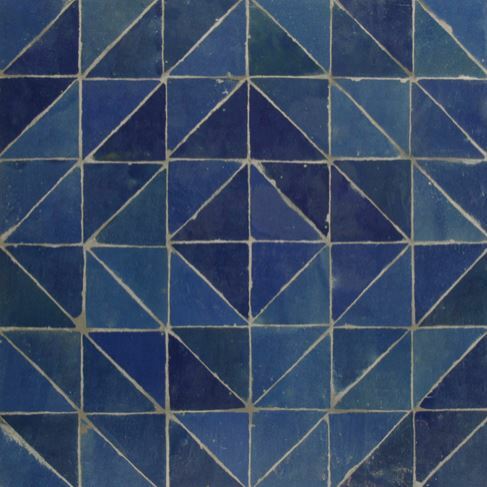 Navy blue is inherently classy, but it can also be incorporated in casual spaces through use of pattern or texture. 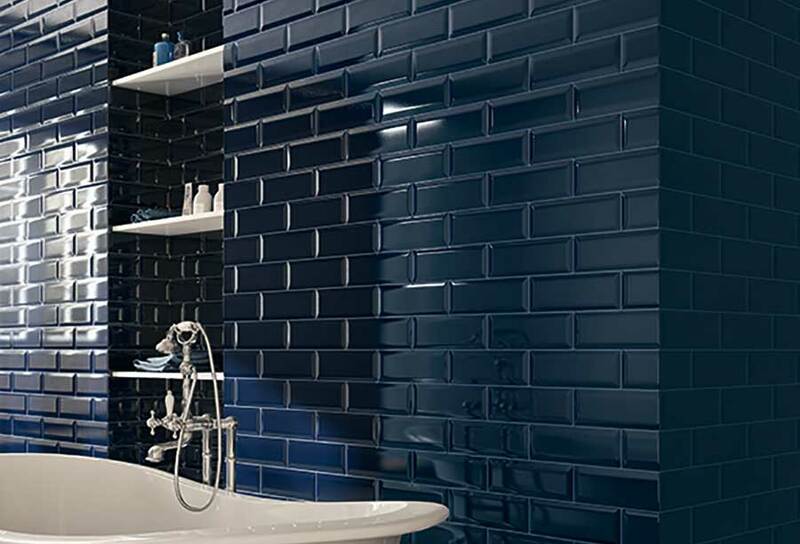 Navy blue can be especially alluring when integrated into bathroom mosaics or when featured in traditional subway tile backsplash. Long a vintage favorite, pinks are currently having a moment. These hues bring warmth and cheer into otherwise dull spaces. Rose, for example, can grant virtually any room a ladylike feel. Likewise, blush has made an impression on Instagram and even on the runway, where it is viewed as chic, but poised. 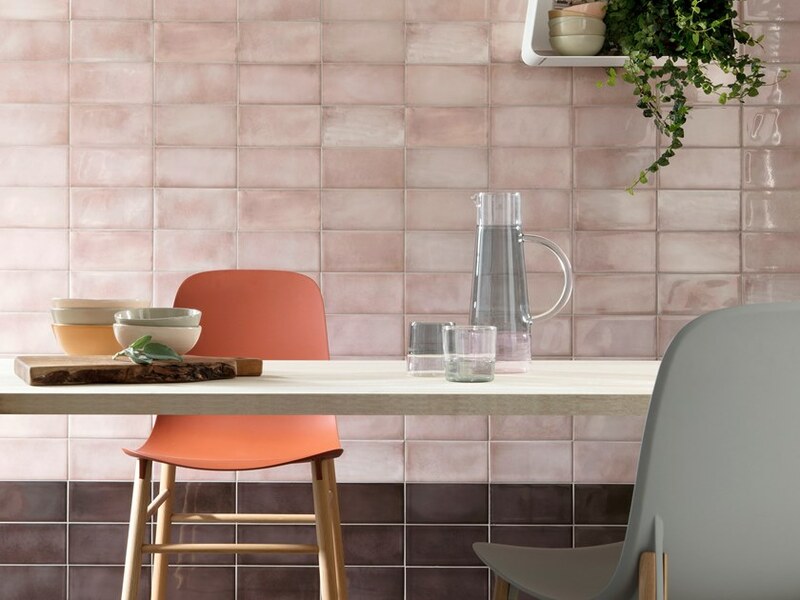 These pastel-inspired pinks can easily be complemented by or tempered with white tiles or grout. Their elegant, yet laid-back feel makes it easier to play with patterns and textures -- even when accompanied by intricate shapes, blush and rose tiles rarely look brash or busy. Quirky, chic, or elegant, shades of violet and purple can take on any personality you desire. This color choice is inherently bold, but also easy to pull off if you select the appropriate pattern and layout. Various shades of purple and violet blend well, thereby allowing you to pursue a multifaceted look. 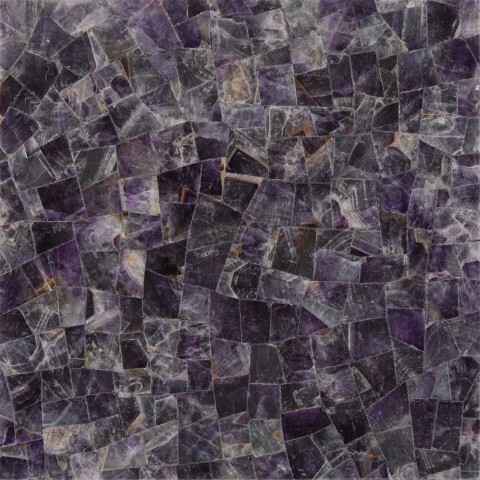 Combine deep purples with lavender for a unique take on mosaics, or set off vibrant shades of violet with white grout for an eye-catching design. On the hunt for a bold look? Few design elements attract attention quite like a fiery shade of red. 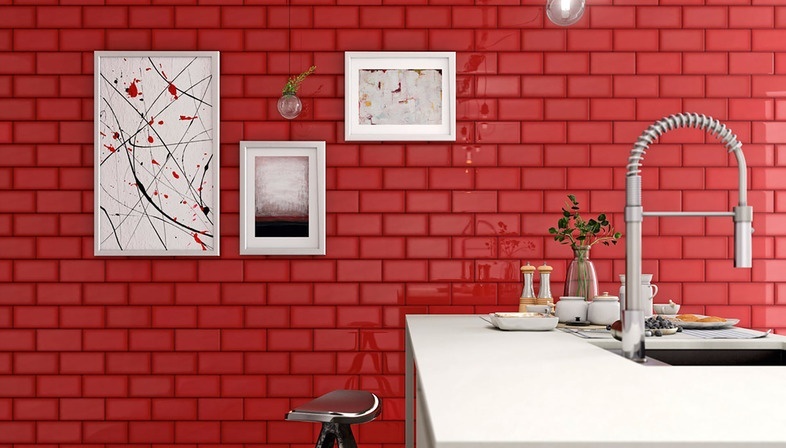 This vibrant color is best used sparingly -- just a few tile details in bright red can instantly revitalize a space. This is particularly true of rooms dominated by darker neutrals -- and in dire need of personality. When incorporating bold red tiles, it's best to keep other elements simple. This is your opportunity to utilize subway tile or other traditional patterns without risking a dull or overused look. Beautiful and poised, turquoise provides an instant calming effect, making it ideal for any space in which you intend to cultivate a serene atmosphere. Brighter shades of turquoise can feel rich and regal. Turquoise is, in particular, well suited to for shower backsplash, where it can create an almost tropical environment. Inherently cheerful, warm shades of yellow imitate the effect of a sunny day. Step into a room adorned with this bright hue, and you'll quickly feel lighter and happier. Yellow is an especially wise choice if your kitchen has few windows or other sources of natural light. Every year, the Behr paint company releases a color believed to make a splash in the world of interior design. 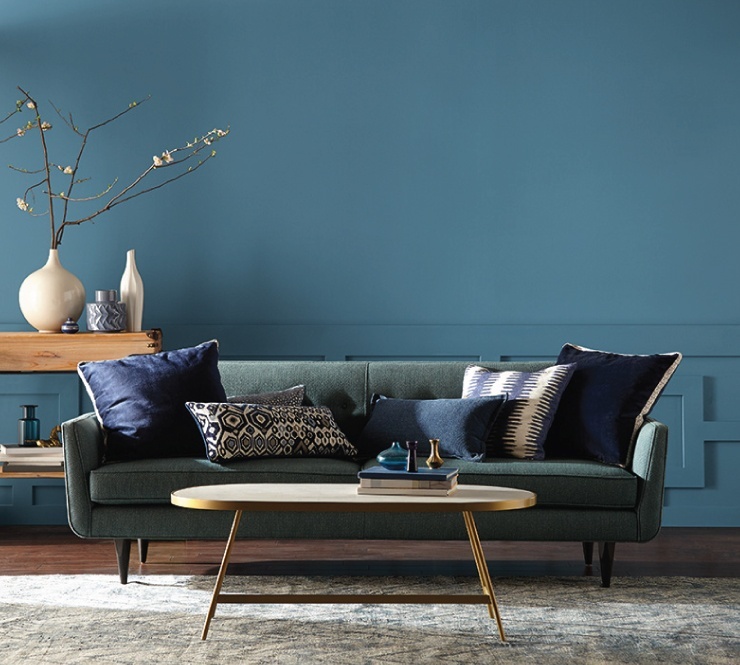 For 2019, Behr's influential color is the appropriately-named hue "Blueprint." Described as "warmer than denim and softer than navy," Blueprint is timeless and confident. Its universal appeal makes it a great option for kitchens, entryways, living rooms, and any space that can benefit from an infusion of warmth and authority. Whether you prefer the timeless appeal of navy blue, the vintage feel of blush pink, or the modern neutral made possible by this season's grey hues, the perfect color is well within reach. Don't hesitate to experiment with bold colors; the right palate can make any space feel both trendy and inviting. 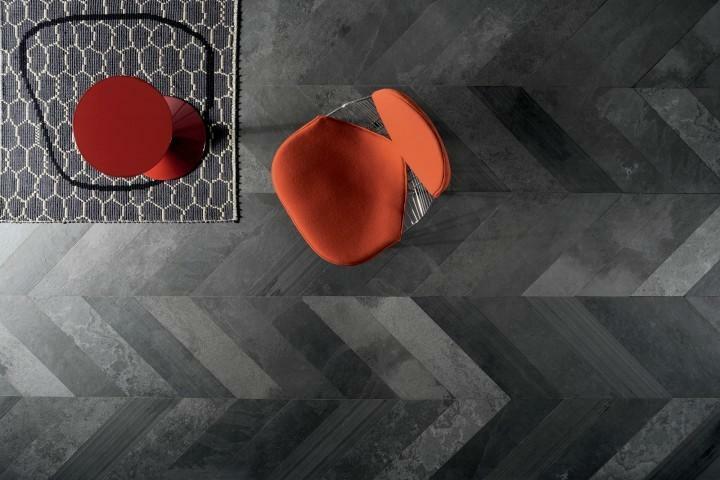 Ready to learn more about the hottest hues and other tile trends of 2019? Our Inspiration Gallery provides a variety of intriguing ideas for incorporating bright colors in your home. Feel free to visit our showroom to see our best designs in person. Contact us today for more information.